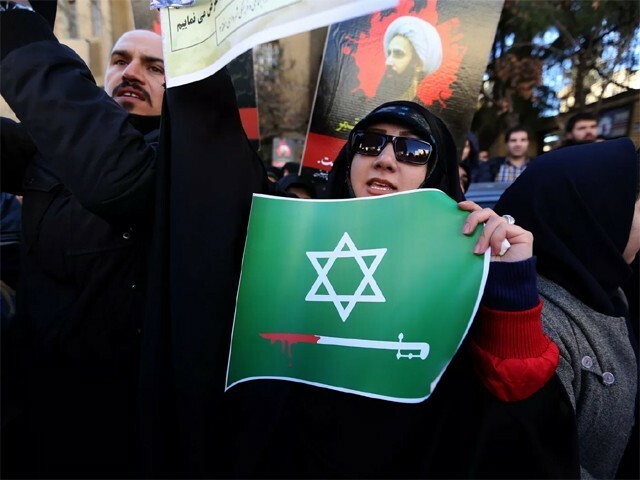 Saudi Arabia has viewed the recent protests in Iran as no less than a geopolitical opportunity as the Kingdom is currently locked in a regional power struggle against the Islamic Republic. Saudi commentators have publicly lambasted Iran, calling the protests a “fierce blow to the heart of Khomeinism” and stating that the protests had “made Iran boil like it’s on a crater of a volcano”. Some commentators warned “collapse” would be next. Apparently, Saudi Arabia has forgotten that not too long ago, it launched a crackdown of its own (something Iran initially tried to avoid doing in response to the protestors, believe it or not). While at the time the media appeared to praise and romanticise Saudi Arabia’s “anti-corruption” shakedown, the truth is that Saudi Arabia is in the early stages of an economic recession and used its crackdown as an excuse to confiscate billions from rich Saudi elites. As Forbes notes, the two countries share some similarities. Both countries reformed subsidies on energy products and services, replacing cheap energy with small monthly cash handouts. Iran has continued to keep up its payments to families hurt by the loss in energy subsidies, but these monthly payments dropped in value drastically due to inflation. While Saudi Arabia’s payments were far higher, Forbes noted that Saudis “grumbled” on Twitter about the state of the payments, with the top trending hashtag on Twitter in Saudi Arabia quickly becoming “Citizen’s Account, 300 riyals”. According to Forbes, Saudi Arabia has also started raising its gas prices, more than doubling the price for premium fuel. Two weeks later, the Islamic Kingdom imposed a 5% value-added tax on almost all goods and services sold in the country. Make no mistake, this is just the beginning of Saudi Arabia’s woes. According to a forecast from the US Department of Energy, American drillers will pump enough oil in 2019 to potentially surpass Saudi Arabia’s output, rivalling only that of Russia. What good will Saudi oil be when the US begins pumping enough oil of its own for domestic and international consumption? Anyone who has been paying attention knows Saudi Arabia was already set for a hard road ahead, having relied heavily on oil for decades – a market that is no longer providing the country with the riches it once did. Both countries are also allegedly in a race to relax some of their stricter Islamic laws, too, primarily to circumvent their people’s plans to protest and cause unrest. If the people of Iran were genuinely unhappy enough with their economic situation to take to the streets, you can bet Saudi Arabia’s crackdown is still just in its early stages and has the potential to spin out of control. As Forbes notes, the Saudi people have enjoyed a long period of tax-free livelihoods in which citizens have been able to “enjoy a lifetime of subsidies and tax-free salaries in exchange for supporting ruling autocrats”. Now that all this is changing, it means Saudi Arabia may no longer have the leverage over its people it once enjoyed where it provided them with a reasonable standard of living. However, it is worth noting that should Saudi Arabia become plagued by protests on a larger scale, it is unlikely the media will pay it the equal attention it was able to pay to the Iranian issue. Consider that Saudi Arabia already launched a brutal crackdown on its majority Shia populations with little to no outrage from the international community last year, and it should be clear that Saudi Arabia will be free to respond to any unrest with as much force as it chooses under far less scrutiny than the US has applied to Iran.